SpliceCom are witnessing a growth in demand for bespoke developments to support specialist applications and solutions based on their voice platforms. Thee include infra-red headset support for the MoD, CLI scrambling for a children's' charity and even retro trimphone integration for a boutique hotel chain. "SpliceCom based solutions were designed from day one to be extremely flexible, resulting in their broad appeal across all market sectors," says Robin Hayman, Director of Marketing & Product Management at SpliceCom. "A wide range of APIs covering call routing, desktop control, voice conferencing, call logging and hotel interface, sit along side native support for VXML, LDAP and PHP. This combination helps us to deliver the most customisable voice platform around. But over the past year our reputation as the "Go To" vendors to meet these needs has been extended further still." It all started with the Royal Navy's rollout of next generation command & control systems to train its submariners. Working closely with SpliceCom Community Partner iCS Communications and prime contractor British Aerospace Systems (BAe), SpliceCom delivered specially modified versions of its S8000 Soft PBX and PCS 582G touch screen IP Phones to meet the Royal Navy's exacting requirements. Developments centred on the adaptation of the PCS 582G touch screen IP Phones to work as "headless" comms clients with specific specialist headsets, the addition of Push-To-Talk (PTT) functionality and interconnects for multiple (Binaural) audio inputs to be used simultaneously. By using a customised SpliceCom system to fulfill this requirement, it provides a solution that is easy to deploy, simple to use, quick to diagnose and maintain, without the need to completely close the Trainers as was the case with the older systems. "Fast start times and easy "on the fly" configuration makes this system a pleasure to work with," said Steve Johns, MTS Area Manager for British Aerospace Systems. Recent developments based on the original specification has seen SpliceCom extend support to now include infra-red headsets, allowing far more mobility for trainees, in addition to the original wired variants. 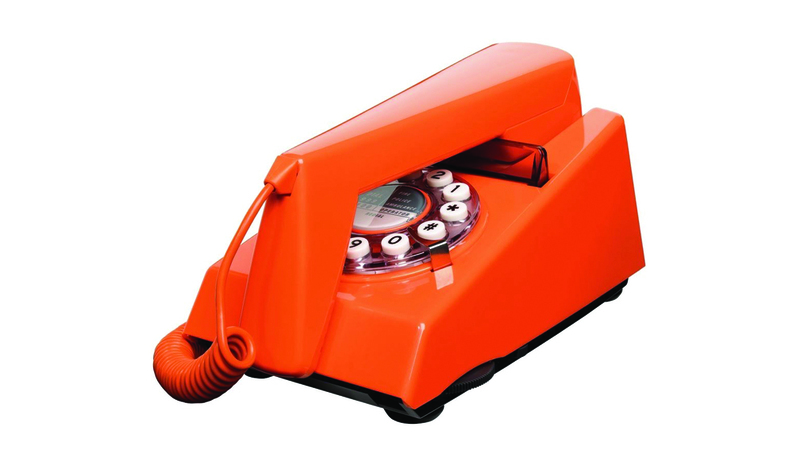 SpliceCom have also been asked to modify their analogue gateways, modules and interfaces to support a re-spin on the traditional TrimPhone, a design that was ubiquitous in the late 60s and early 70s. An upwardly mobile chain of boutique hotels, who currently have premises in Shoreditch, Holborn and Amsterdam, are rolling planning to roll these retro designs out to every bedroom. And in the last month, SpliceCom has added a CLI scrambling feature, which translates the callers number into a pseudo random number for a children's helpline run by a well-known charity. This allows the caller to remain anonymous and untraceable, yet still allows call reports to be run on the newly generated number, allowing quantity and duration of calls to be easily tracked. "The beauty of being a British based business is that our development team are on-hand to quickly and cost-effectively discuss and, where necessarily, address customisation requests as they arise. This one of the major reasons why we've gained a reputation for the delivery of quality bespoke solutions that are on-specification, on-time and on-budget," concludes Hayman.